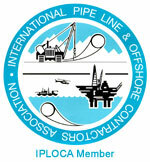 "CRC-Evans has employed SPDC on several occasions for offshore pipeline projects. Working with SPDC and your personnel has been a pleasure. " In today’s world…finding reliable, dedicated workers for difficult and often very arduous pipeline construction projects can be extremely difficult…if not impossible. SAYGILI Project Development Consultants Ltd. (SPDC) is a turnkey specialized provider of personnel for pipeline construction contractors throughout the world. SPDC prides itself on its quality service, top performance, commitment and dedication in providing for and supporting the needs of those companies in need of highly trained staff for the construction of oil and gas pipelines, on and off shore. SPDC has gained high praise for its professional approach to manpower resourcing. With its person-friendly approach to the hiring, training and care of its personnel and their families SPDC assures the highest on-site work ethic and performance from its personnel. SPDC takes care of all families of mobilized personnel so that employees have no concerns about their families. They can concentrate on the project at hand - offering SPDC clients the highest on-site work performance possible. SPDC’s reputation is built solely upon client references. This reputation and a continuing attention to the responsibilities we hold to our personnel and our clients have gained SPDC one of the highest integrity ratings in the pipeline construction staffing industry. If your company is involved in the construction of pipelines anywhere in the world, we invite you to learn more about SPDC and how we can assist you in your next successful project. If you are a pipeline construction professional and are interested in how SPDC can assist you in finding future employment, we invite your inquiry. supplier of manpower to onshore/offshore pipeline projects, pump stations, oil and gas platform industries, and plants and refineries. It is comprised of 1,900+ registered professional and qualified Turkish personnel from a full spectrum of pipeline industry fields that enable SPDC to successfully assume and manage projects from conception to completion. The SPDC corporate entity was established through the vision of its founder, Ali Saygili, an extraordinary man who worked his way up through the ranks in the onshore/offshore pipeline industry from the 1960’s forward. Saygili Project Development Consultants, LTD (SPDC) is the realization of Ali Saygili’s vision begun in 1975. Ali’s son, Vedat Saygili, officially formed SPDC in 1999. Since that time Vedat Saygili has built the organization into a leading contender in providing highly cohesive teams of qualified professionals for major pipeline construction projects throughout the world.